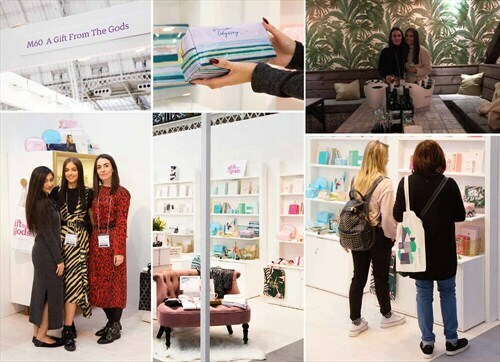 Over the next few months, we will be chatting to some of our amazing team here at A Gift From The Gods to find out what a day in the life of one of the AGFG goddesses is really like. This week, we’ve been catching up with Holly, our Social Media guru. 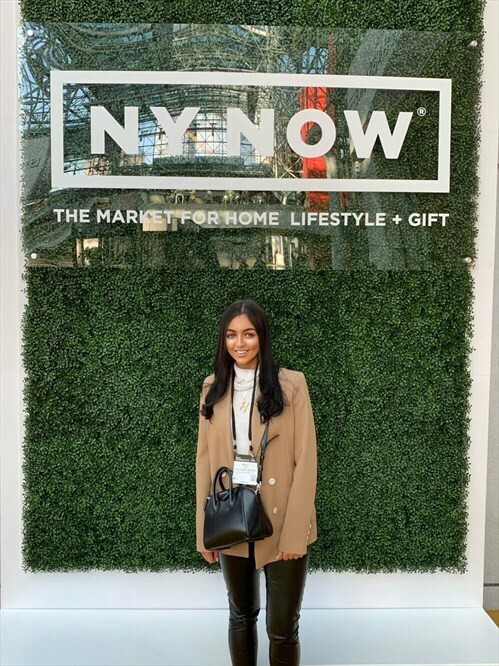 From glamorous rooftop parties to international trade shows, it’s always a packed schedule for this high-flying Fashion Promotion and Communication graduate. Hi Holly! Can you tell us a little about what you do? I handle all the social media marketing at AGFG, creating campaigns and managing influencers and collaborators. We sell to consumers and other retailers, and, as a small company, there’s lots to cover, so I help out on the wholesale side too. I’ve been working at A Gift From The Gods since August 2018, so that’s a little over 6 months. I graduated in the the summer of 2017 in Fashion Promotion and Communication and, after a couple of internships and entry-level graduate jobs, I’m here and really happy! You’ve been involved in a lot of trade shows recently, how has that been? 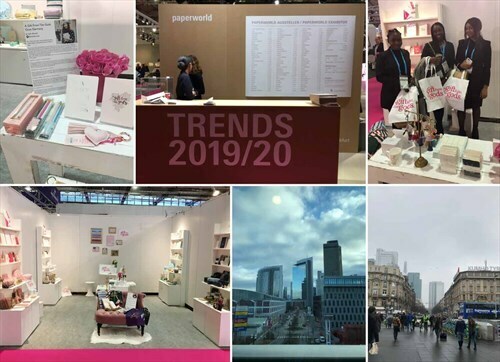 With five international trade shows in five weeks during January and February 2019, it’s been quite an experience! 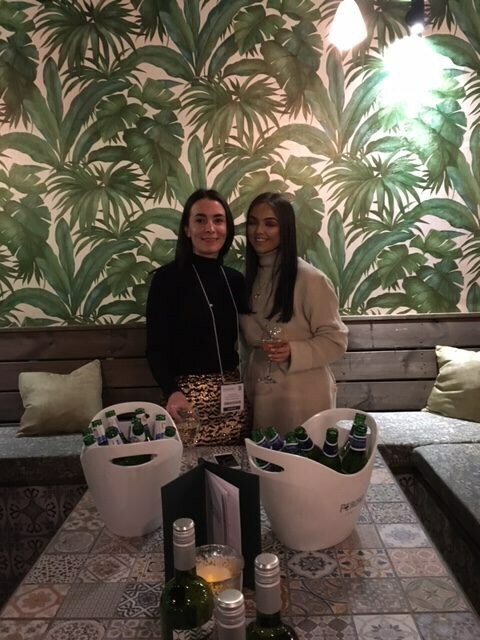 It meant long days, lots of lugging boxes about and getting out of my comfort zone speaking to international buyers, but I got to travel, meet loads of new people, and have great nights out experiencing different cultures. Which trade shows have you been a part of with AGFG? Top Drawer is a lovely show with discerning buyers. There are always great contemporary brands exhibiting, along with lots of unique independent artists. 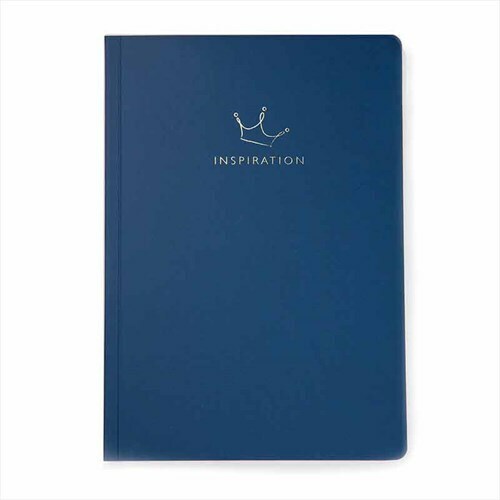 Buyers are keen to plan the year ahead and stock up on stationery and accessories so it’s a great start to the year. Paperworld is a traditional trade show for serious international distributors with a very corporate feel to it. We were in the newly reconfigured gift section and met global buyers who loved our fashion stationery. Frankfurt is compact and feels business-like. Surprisingly, the exhibitor drinks were a riot with a band and dancing – they know how to party. I will look forward to returning next year. This was the show I was looking forward to the most, four days and it flew by. We stayed in mid-town Manhattan, stocked up at the local delis and took the subway to work. We were there for the Superbowl, State of the Nation address, and something called Punxsutawney Phil (Google it!). The weather went from -7 to 58 degrees in two days! Our debut at this show was a great start in the US as we learnt how they do things differently, meeting distributors and rep agencies. They love British brands, but you’ve got to put yourselves out there and be prepared to adapt and collaborate. 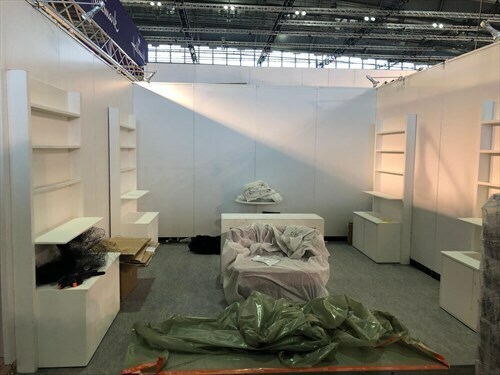 The prep for a trade show starts months prior – negotiating your stand, building your kit, collating your samples and marketing your presence with press releases, invites, and newsletters. Then we’ll pack up ready for ‘build up’ at the venue in our glamorous high vis vests! It’s often freezing with the doors open and chaotic with exhibitors and contractors rushing around but the reward is a beautiful stand. The logistics for these shows between London, Paris, Frankfurt, New York, and Birmingham were nerve-jangling and stressful but we always have a Plan B and Plan C should anything go awry. 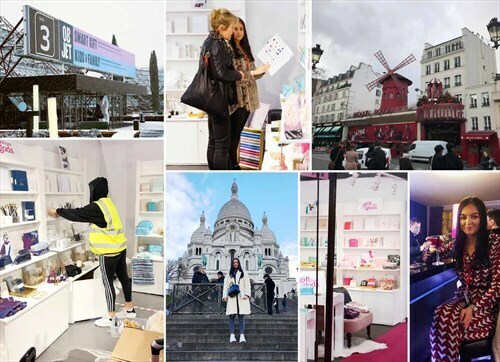 Once the show is open, it’s all about showcasing the brand to stockists and new buyers. What have been some of your favourite trade show experiences? And what is your favourite city that you have visited? There have been some amazing moments over the last few months. Exhibitor drinks after the opening day of Top Drawer in London is a show tradition. This time it was at Pergola, the rooftop bar at Olympia. It’s a great time to catch up with other brands and network with fellow exhibitors. It was also fantastic to spend a day exploring central Paris after Maison & Objet. My favourite city was, of course, New York. I have visited before with friends, but it was an incredible opportunity to go back for business. After all the hard work, the treat was to visit some lovely bars and restaurants and feel (almost) like a New Yorker. 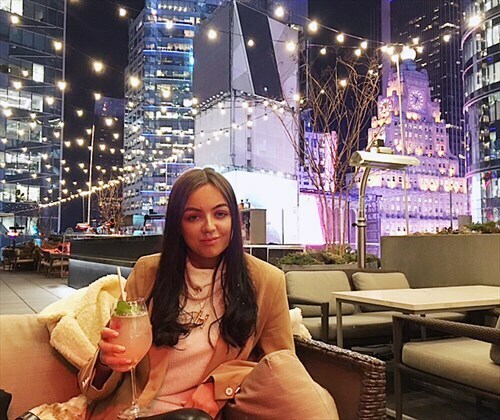 We made the most of the evenings checking out Times Square, the Rockefeller Centre and enjoying cocktails at The Knickerbocker. What do you enjoy most about trade shows? I get to travel to new places I wouldn’t otherwise visit. Plus, all the interesting people I get to meet as the gifting industry is such a kind, welcoming industry to work in. I now see familiar faces at the shows including French, German and Turkish exhibitors which is always nice as we share views and experiences. It definitely gives you a fresh perspective. 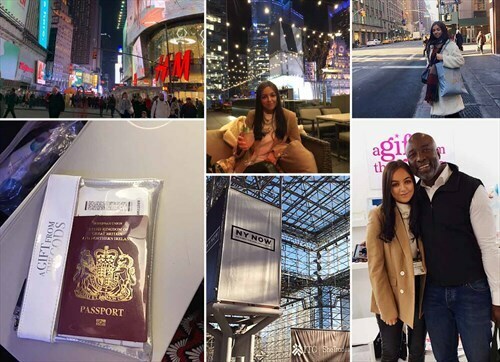 It seems like you lead a very glam lifestyle – jetting off to new places every few weeks! _I suppose the ‘glam’ side is visiting gorgeous bars and restaurants around the world. Usually, I only have the evenings free, so this is the time I get to explore new cultures. But my favourite part of every trade show has to be the exhibitor drinks. It’s the chance you get to mix with the other exhibitors from around the globe who often become friends. It’s always a good laugh. How do you stay looking fresh with such a hectic schedule? I don’t! I try my best, but I have had a few “you look tired” comments throughout the month, which is expected. I do ensure I have my eyebrows and nails done so I feel like I’m put together when travelling. I also carry all my beauty essentials in my AGFG pouch! I enjoy the creative freedom I have in my job and working with like-minded people. One day I could be creating graphics for social media, such as banners or stories, other days I could be scheduling posts or creating campaigns and competitions. On other days, I may be 100 rows deep into a spreadsheet, which I don’t mind as it keeps me busy! We are a small team, so everyone’s ideas are taken into consideration. We have team meetings every Monday where we discuss the week ahead. Having the opportunity to travel to fun cities such as New York is always a plus! What advice would you give any graduates wanting to get into the industry? Get involved. Embrace hard work and a can-do attitude. Be prepared to muck-in and support your team. Make it known that you are happy to help out and try new things! How else will you know what you do and don’t like? Thanks, Holly. It sounds like you have achieved some amazing things at A Gift From The Gods in just a few months! Before you go, what are your must-have A Gift from The Gods products when you travel? My absolute favourite AGFG picks are the A Gift From The Gods Slogan White Clear Pouch and the Get Your Goddess On Inspiration Blue A5 Journal, these two come everywhere with me and I couldn’t be without them! I like to know where exactly I’m going to be and when, so I put everything on my work calendar, send it to my personal mobile and have a printed copy to keep in my Get Your Goddess On Inspiration Journal. This way I’m always fully prepared. And, it can be tough to keep looking my best on the road. So, I’ll always pack a face mask, lip balm, and good moisturiser in my trusty AGFG pouch, which is the perfect travel size. It’s been lovely getting to know you, Holly. We are sure you have lots more exciting A Gift From The Gods adventures in your future!